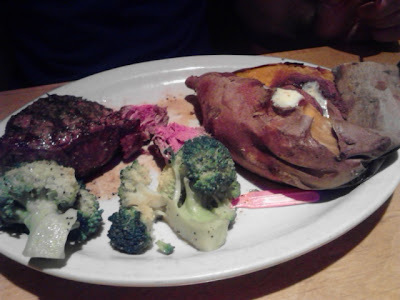 Peanuts, Steak, Lobster... | The Food Hussy! A couple of weeks ago my husband and I had our 2nd anniversary! Since it was on a week night and we had plans to go out of town that weekend - we decided to just grab dinner someplace close to home that night. 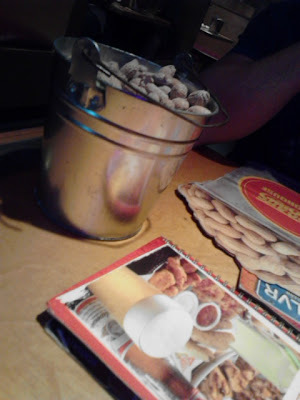 Logan's is sort of a combination of all the other steakhouses - like Lonestar they have buckets of peanuts on all the tables and you can sweep the remnants on the floor. Like Texas Roadhouse - they have the delicious rolls with the cinnamon butter. 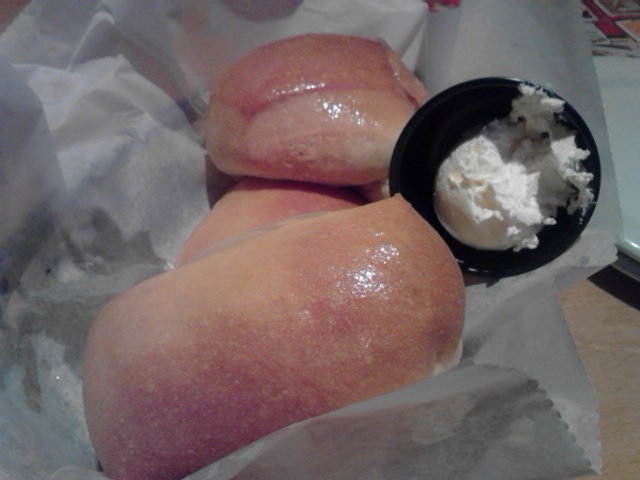 These were delicious but I let Larry devour most of them! 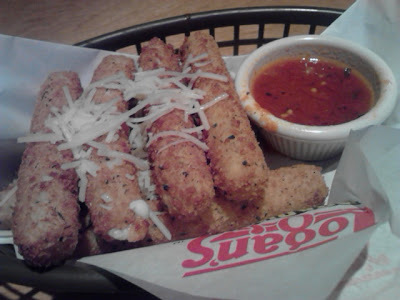 Hubby - as usual - was hungry and wanted cheese sticks...they were fine but not surprisingly nothing special. The marinara was sweet and light - I liked that. 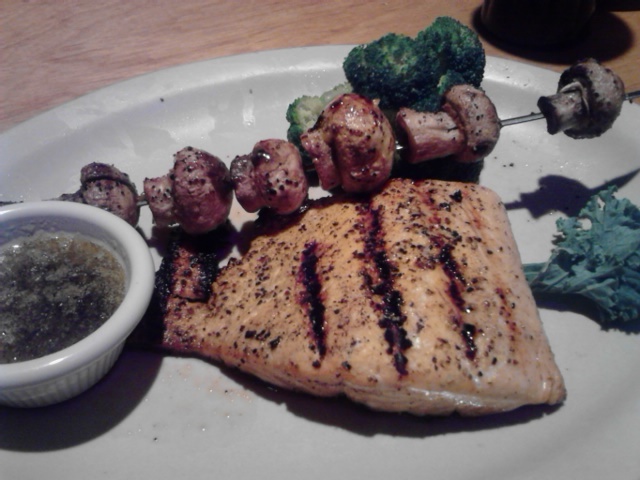 I was really trying to make better choices...so first I went for grilled salmon with a mushroom skewer. The salmon was okay - a little too peppery for me and a bit overcooked. The grilled mushrooms were tasty. 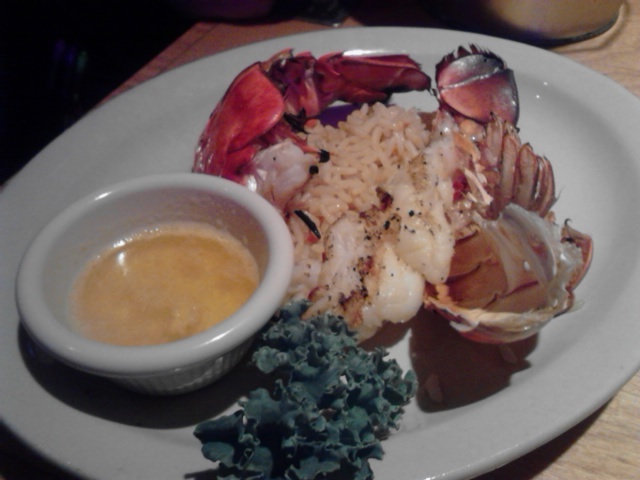 I also decided to get a side tail of rock lobster which also came with a bit of rice. The lobster was good - but I realize the texture is a bit like shrimp - and after trying Larry's add-on selection - I think I like his better. 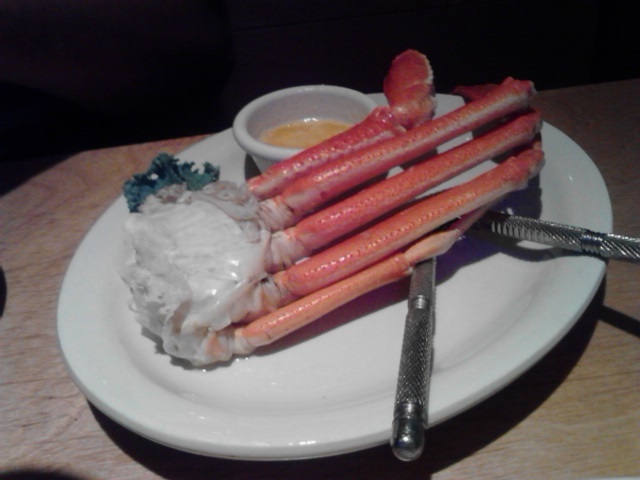 For his add-on, it was snow crab legs! These weren't near as good as the King Crab from the week before - but they were just as good as Mitchell's and it was a huge portion. Why Should You Go? It's a chain...it's a steakhouse...it has peanuts...it's not bad. Did it amaze me and astound me? 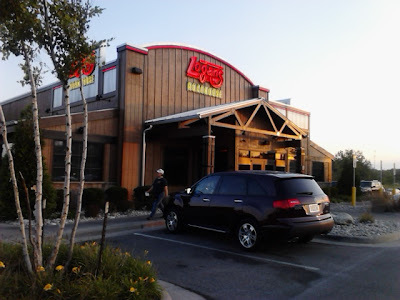 Well no - but we liked the food and the quality was better than some other local steak places we've been to - so we'd go back.